[Written by Kristen Taylor] Chain Reaction Bermuda, an exciting pro-kindness program geared towards middle and high school students, has been making an impact on the island by empowering students to promote and exercise kindness and respect towards their peers. With monthly club meetings, assemblies and large gathering called the “Chain Reaction Movement”, Chain Reaction is encouraging teens and pre-teens to get involved in their communities through drama, acts of kindness and community projects to name a few. This month’s theme is “Against All Odds” and the guest speaker/performer is Dez Duron from NBC’s The Voice, Season 3. 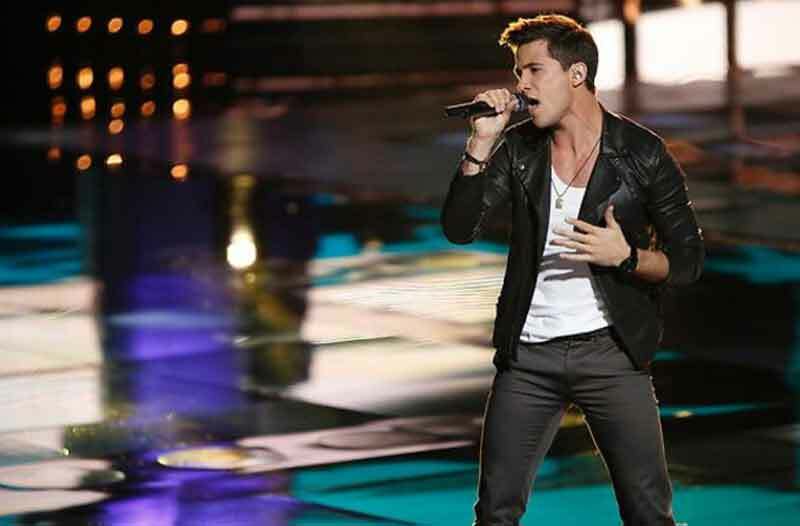 Dez fought for success on The Voice and got to the final 8 on Team Christina. With his unbelievable ability to weave together classic sounds with pop he stole the hearts of young and old. He says of his music, “I’m attracted to music that makes me feel something, whether happy, sad, excited etc. Frank Sinatra moves me the same way that gospel music moves me. “There’s just something about that music and someone who can do it the right way. That is the biggest influence I take from that style of music as I make my own.” [Ryan Kenny. “Dez Duron From The Voice”. Beverley Hills Lifestyle Magazine. 2014. Online]. According to his Facebook bio, he was born in Shreveport, Louisiana and enjoyed competing in football, baseball and track, but never lost sight of his love for music. He was involved in high school musicals, church bands and a singing group with two of his six siblings called “Duran” when he was a young teen. “I love hearing stories about people overcoming great obstacles and making a positive difference.” [Ryan Kenny. “Dez Duron From The Voice”. Beverley Hills Lifestyle Magazine. 2014. Online]. Dez will be speaking on his personal experience and how important it is to persevere through hard times in order to reach your life’s goals starting Tuesday, November 18th at Clearwater Middle School and CedarBridge Academy for S1-S2, Wednesday, November 19th at The Berkeley Institute for S2-S3, Thursday, November 20th at Dellwood Middle School and CedarBridge Academy for S3-S4 and Friday, November 21st at Sandys Secondary Middle School and The Berkeley Institute for S1-S4.